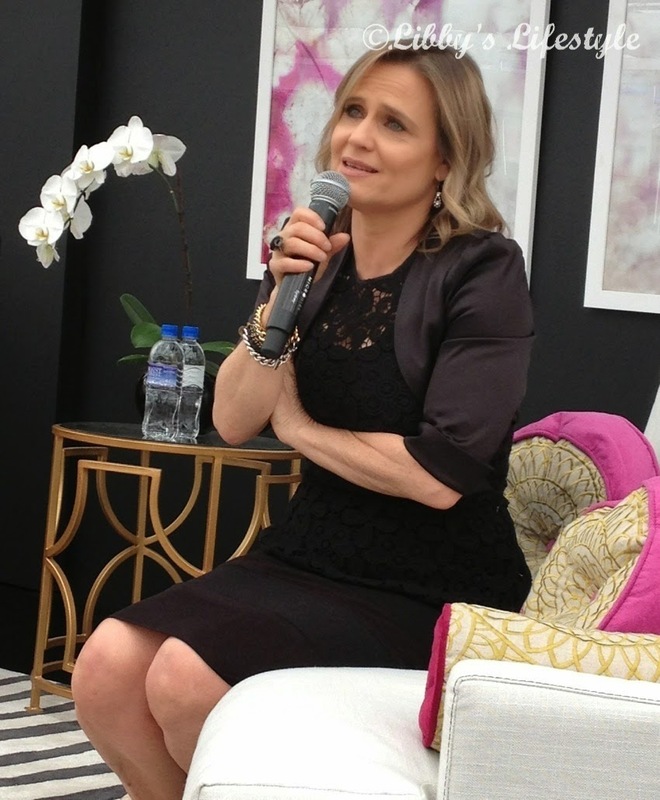 Grand Designs Live, Sydney, and being lucky. | Libby's Lifestyle. 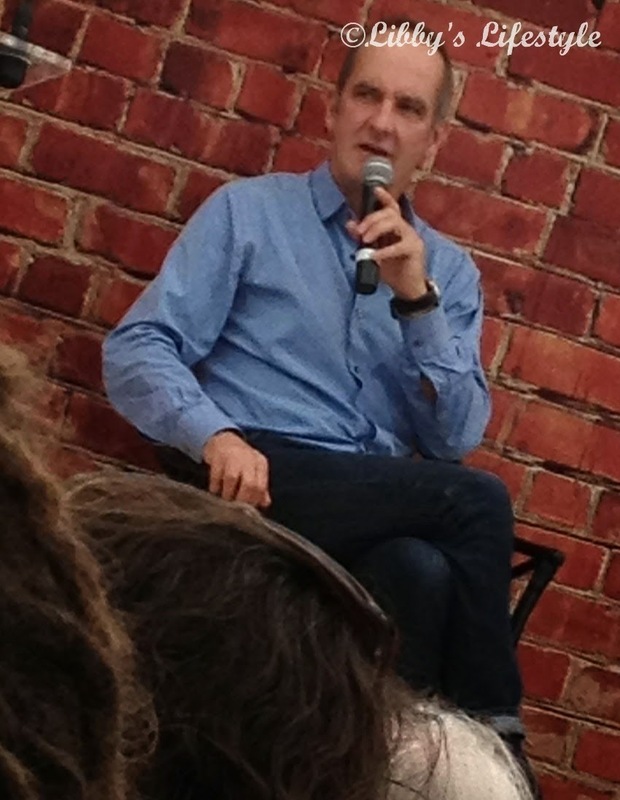 Grand Designs Live, Sydney, and being lucky. 2014 is going to go down in the annals of time as Libby's Year of Luck. Admittedly, I have been entering competitions, which previously I have not had the time nor the desire to do. And 2014 has proved to be my year. 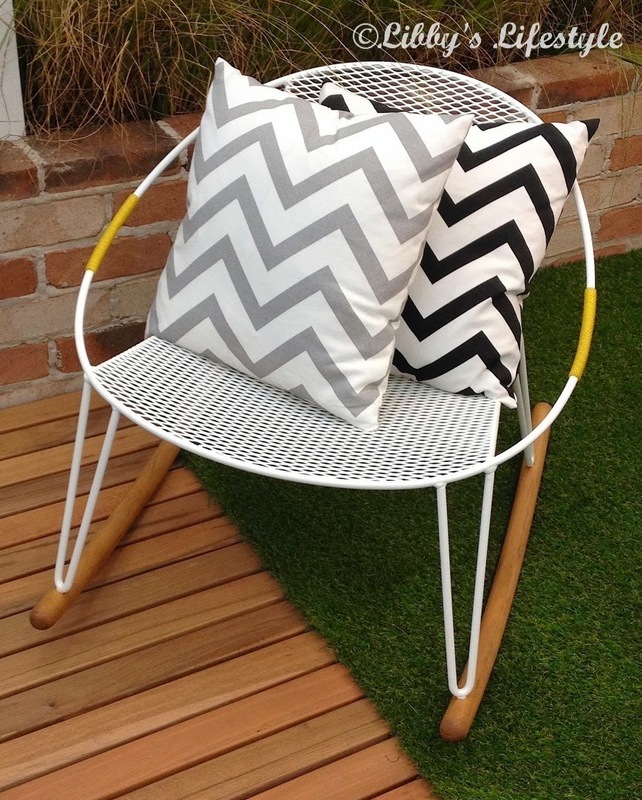 A $50 Masters voucher earlier in the year from tlifecreative on Instagram for making the suggestion to turn an old cable drum into a drinks' trolley. A nice little surprise. $100 of vouchers from my local shopping centre for filling in a form and dropping it in the barrel. We've dined through a number of Saturday breakfasts on those lovelies. 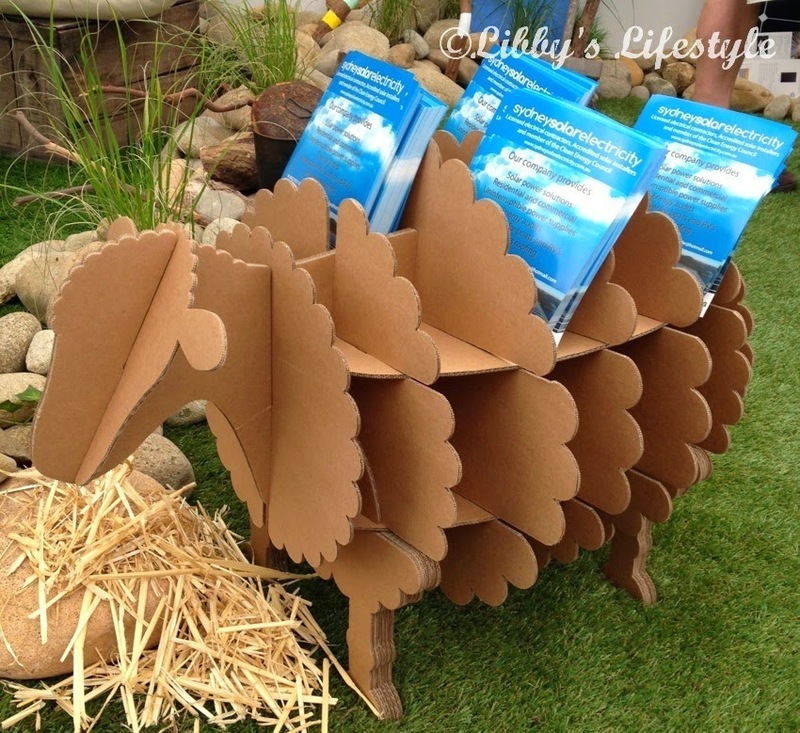 And then, two tickets to Grand Designs Live, Sydney, because I took the time to write a comment on The Life Creative blog. Yay! I'm on a roll. Who knows what I'll win next?!? But while the luck is happening, I'm going to keep entering. 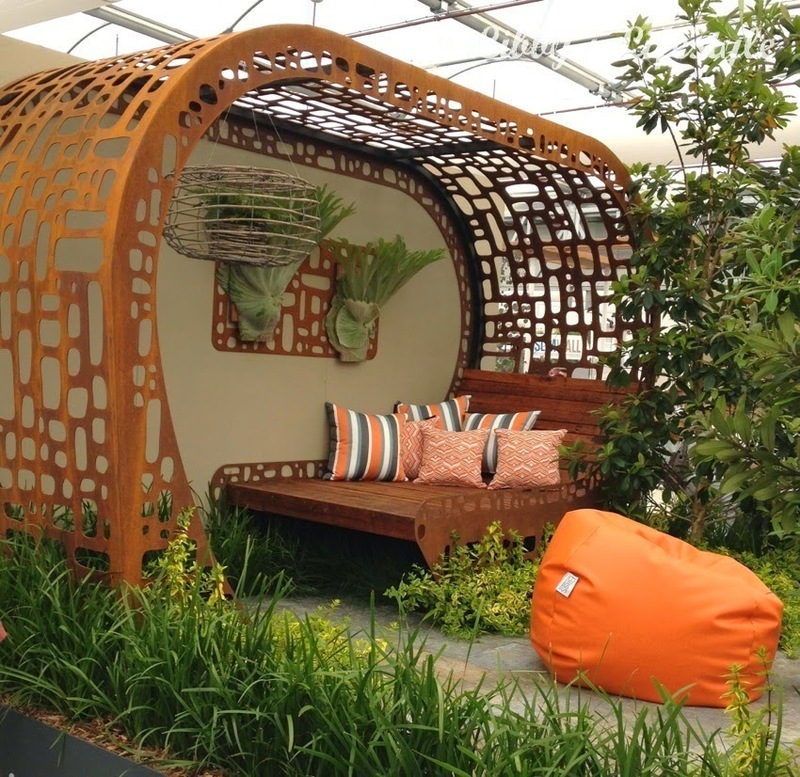 So, Grand Designs Live Sydney. 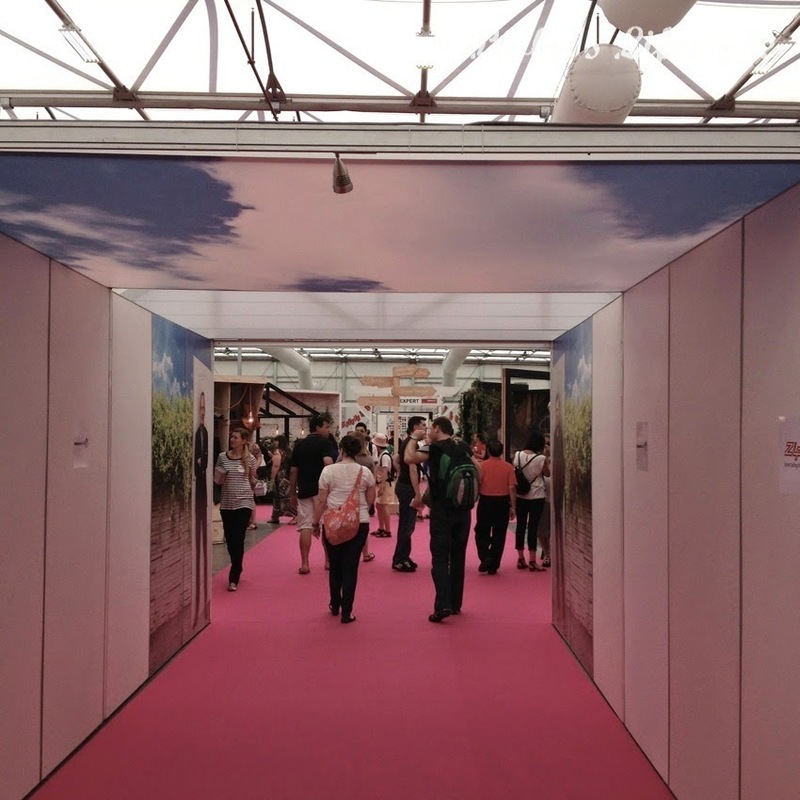 I entered, under the clouds, down the pink carpet, with strains of the Grand Designs theme song tinkling above. Was it good? Did I see Kevin? Did Kevin see me? Yes. Yes. And probably not. Bad photo, I know, but I was about six rows back, standing, with my iPhone above my head, trying to press the camera button. Best I could manage. Sorry. But it's proof. Proof of Kevin … in my presence … and the presence of a lot of other people. So, who else was there? Who else saw me? And Mr Jason Grant. I'm a bit of a follower. Like his relaxed style. Bought his books. Then did the sycophantic book signing thing. See proof. Mr Jason Grant definitely saw me. What else did I see? Well, some really interesting things, stuff, bits and pieces. This caught my eye straight up. 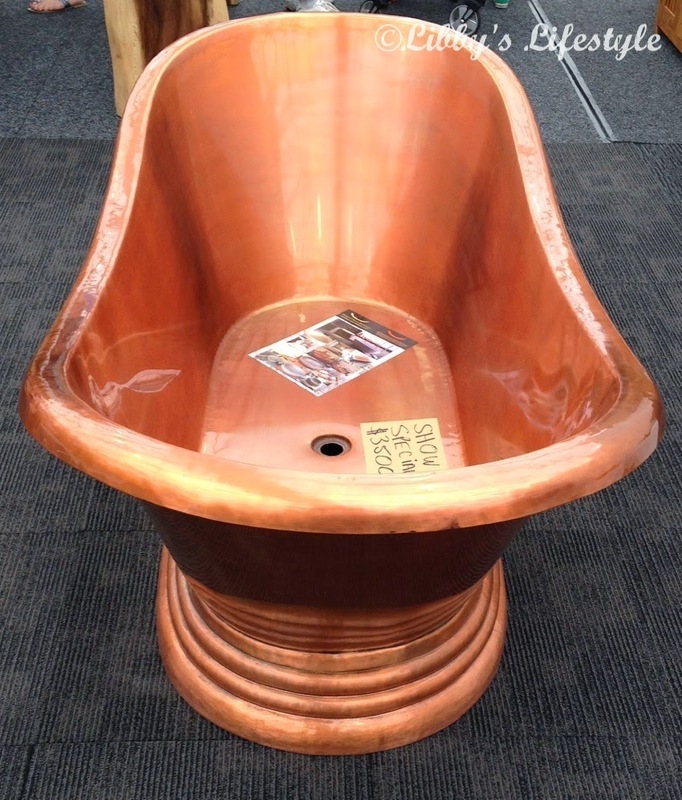 Don't think I'd like to have to maintain it, but what a statement piece! And how cute is this! I love rocking chairs. 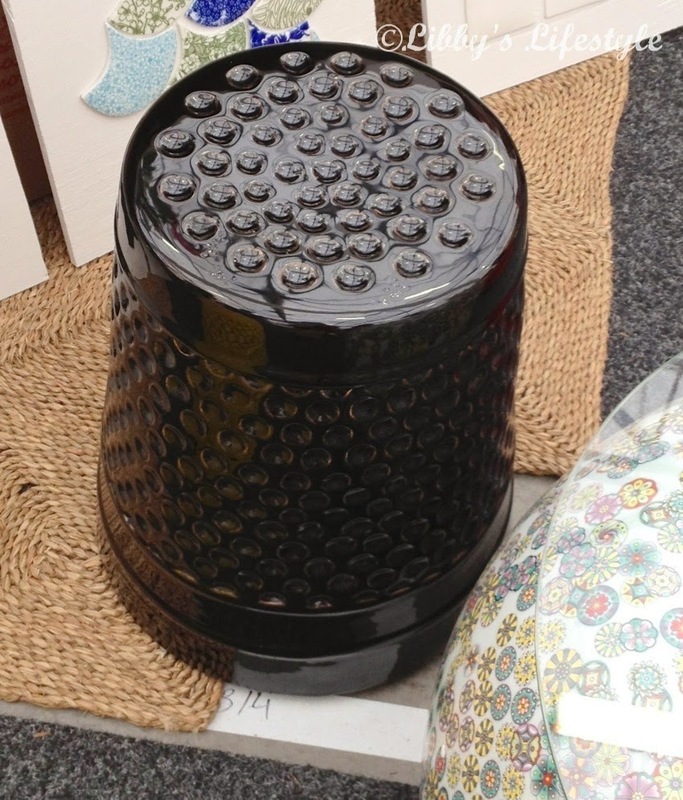 How about a footstool/side table in the shape of a thimble? Loved it. 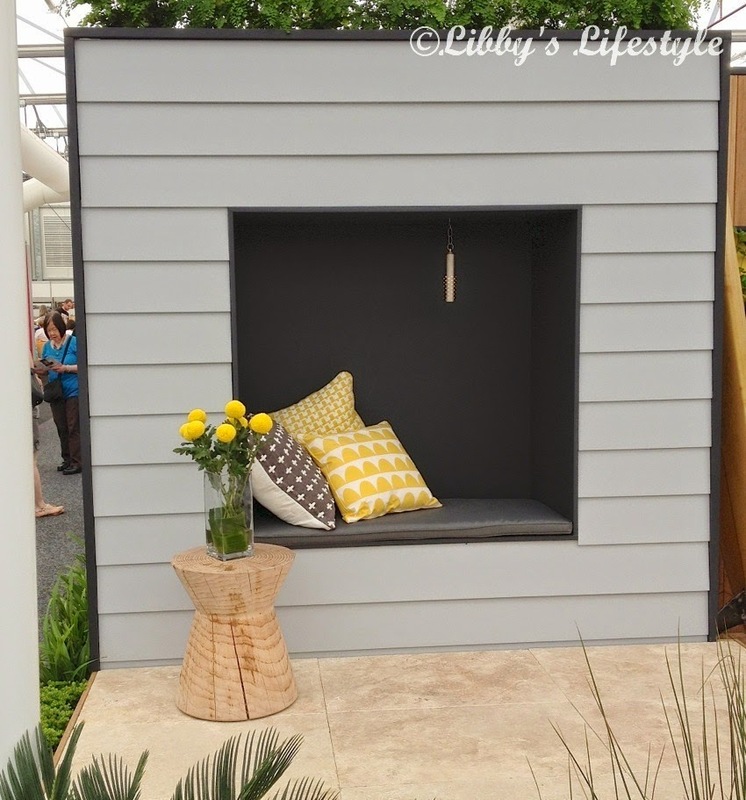 And an outdoor space with a little reading nook. Cosy. Or this outdoor beauty. Amazing. 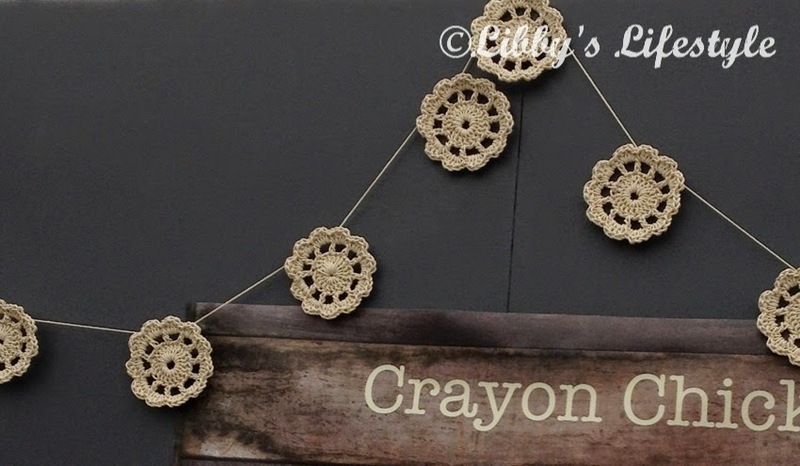 Or a crocheted garland to grace your wall. I could do this. But my heart went out to this little Miss who was just there to hold brochures. I want her. It was free … for me. And the lady I gave my extra ticket to. She was h a p p y. Did you go? What did you love? How's your luck been lately? 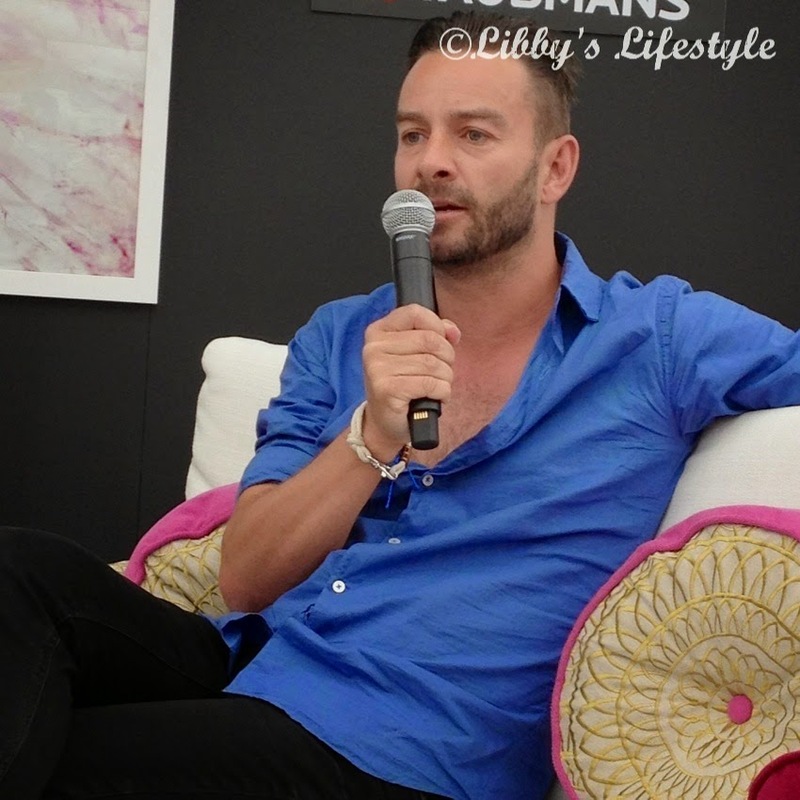 London and a day with myself at Hampton Court. Photography … deer, oh dear. Paris … secret passages and hidden treasures..